This morning, Empire actor Jussie Smollett was cleared of all charges in the strange case that suggested he had orchestrated a hate crime against himself. While Smollett and his lawyers appear satisfied with the ruling, Chicago's mayor and police department are none too pleased. 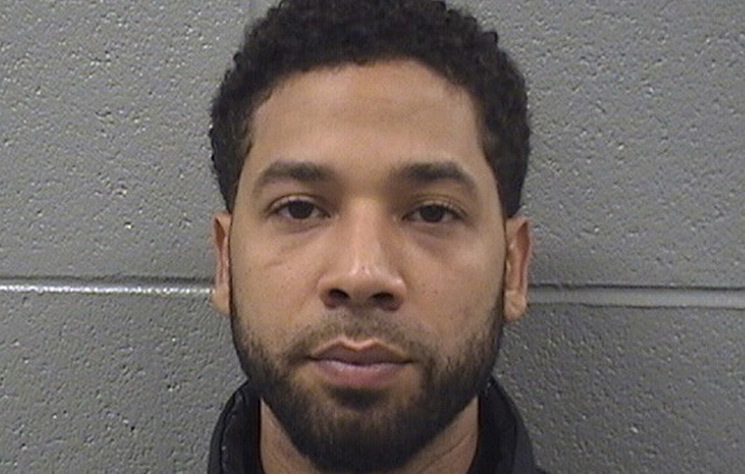 Earlier this year, Smollett was charged with 16 counts of disorderly conduct and accused of fabricating a January attack that involved two masked men hurling homophobic and racist slurs against him, as well as poured what the actor believed was bleach over him and put a noose around his neck. Upon the announcement this morning that all charges against Smollett had been dropped, Chicago Mayor Rahm Emanuel and Chicago Police Supt. Eddie Johnson denounced prosecutors' decision in a joint press conference. "This is a whitewash of justice," a visibly angry Emanuel said. "I'd like to remind everybody a grand jury indicted this individual based on only a piece of the evidence that the police had collected in that period of time. So a grand jury actually brought the charges." Johnson added, "So listen, I'm sure we all know what occurred this morning. My personal opinion is that you all know where I stand in this. Do I think justice was served? No. I think this city is still owed an apology. "If someone accused me of doing anything that would circumvent [my integrity], then I would want my day in court. Period. I've heard that they [Smollett legal team] wanted their day in court with TV cameras so America could know the truth. But no, they chose to hide behind secrecy and broker a deal to circumvent the judicial system. My job as a police officer is to investigate an incident, gather evidence, gather the facts and present them to the State's Attorney. That's what we did. I stand behind the detective's investigation."